Facebook profiles and groups aren't supported by MailClark at the moment. Make sure that the account you're trying to connect is a Facebook Page. Are you an Admin for this Page? When authorizing a Facebook app, you're asked to “Choose What You Allow”. 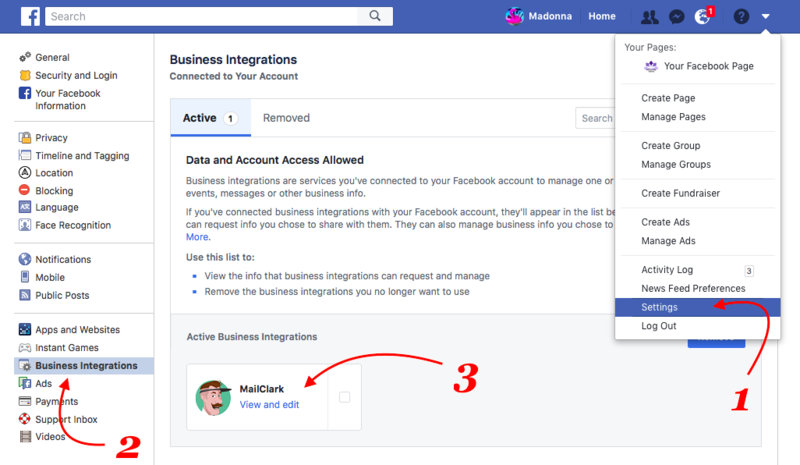 From Your Facebook Settings Page you can manage your Integrations and make sure you've allowed MailClark. If this doesn't help contact our team so we can look further into it. How do I connect my Facebook page ? Can I connect my personal Facebook profile?